We are your partner in accelerating innovation and transformation. We are a team with decades of deep expertise that incorporates innovation, relational leadership and making from real world experiences. We give you the best of Silicon Valley in a unique next generation “Before, During and After” approach to learning expeditions and advisory services. With our “tip of the spear” approach, your organization will be action plan ready to stay ahead in the world of innovation and disruption. Starting with the right mindset we accelerate innovation and transformation in your organization. Bernard is Holistic Innovations’ co-founder. He was former CEO and founder of ATOS Origin, a leading global IT services company. Bernard is a private investor in global technology companies. He is currently an operating partner of Advent International. Bernard holds positions on boards, including Ingenico in France, Aalto Invest in London, Sierrabolics in San Diego, and CGI in Canada. He is also a member of the global advisory board of Jefferies Bank in New York. Bernard is Affiliate Professor at HEC in Paris. He published a book titled ‘The simplest ideas are always the best”. Veronique is Dean of the d-School Paris (Ecole des ponts ParisTech). Veronique has over 20 years of experience in corporate strategy, especially strategic renewals for mature businesses through organic growth. Veronique has run over 100 projects for companies. She has developed reference tools and processes which allow executives to explore & create new paths of development. Veronique advises companies how to disseminate a culture of exploration thanks to design thinking, in order to create the next generation of blockbuster products. Karsten is the Co-founder of Holistic-Innovations together with Bernard Bourigeaud. Karsten was a Senior Vice President at Autodesk where he tripled the EMEA revenues to over 1B$. Prior to Autodesk he was CEO of Adelante Technologies, President EMEA at Mentor Graphics, and Senior Application Engineer at Texas Instruments. Karsten has been a member of the International Advisory Board of HEC-PARIS and has an Electrical Engineering degree. Karsten is a former ATP tennis player. Karsten knows “HI” leadership. As Senior VP at Autodesk he grew revenue to over $1B. Prior, he was CEO of Adelante Technologies and before a sales/marketing leader at Mentor Graphics and Texas Instruments. 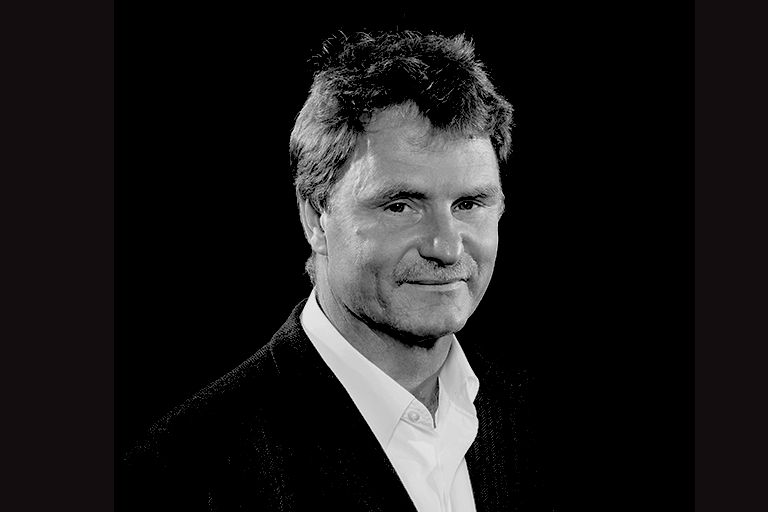 Karsten has been a member of the International Advisory Board of HEC-PARIS and has an Electrical Engineering Degree. Karsten is a former ATP tennis player touring the international tennis circuit. Bill O'Connor is an innovation consultant based in San Francisco/Silicon Valley. He is the creator of the Autodesk Innovation Genome project, where he has analyzed 350 of the greatest innovations in human history, and as a result created a powerful innovation methodology that he has taught to 300 companies from 47 countries. He is currently interviewing Nobel Prize winners -- as part of a partnership with the Nobel Foundation -- to better understand how they innovate, and develop innovation techniques based on those insights. Valerie is a Former Dean of HEC MBA and current HEC-Pernod Ricard Leadership Chair. Educated in the US and France. a former professional athlete in Downhill skiing and tennis. Serial author and publisher including the “Leading with Sense: The Intuitive Power of Savoir-Relier”, book published by Stanford University Press. Valerie Has taught leadership to some of the leading multi-national companies including L’Oreal, Apple, Pernod-Ricard and Sanofi Group. 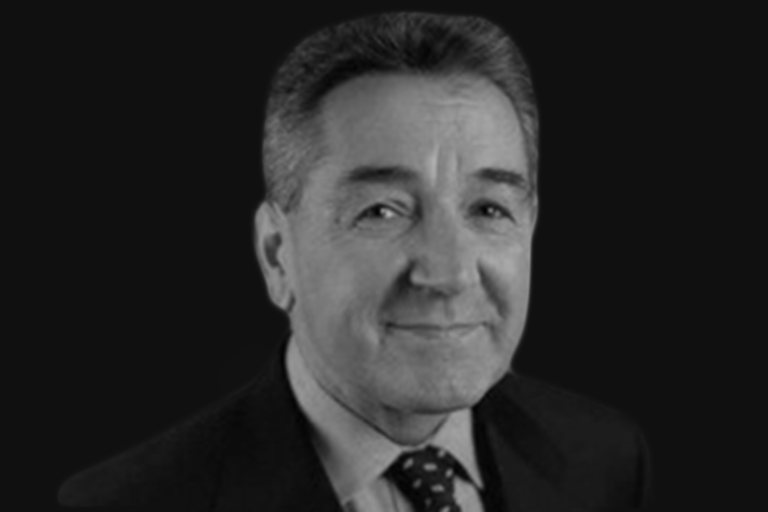 Philippe has spent 25 years as Human Resources executive in international companies. He has shared his career between the Retail industry (FMCG) and the Tech industry where he held the position of Head of HR EMEA at Apple for 8 years. He is now Affiliate Professor at HEC Paris. He has focused his research and teaching in the field of People Performance (Individual, Group and Organizational). He also collaborates to leadership development activities in organizations with the Savoir-Relier approach and provides performance and career coaching to executives. Vipin is an intelligent transportation system leader. A construction engineer, he served as Deputy CEO of International Union of Railway where was a key thought leader for the European Train Control System and One Belt One Road initiative. His involvement continued to high speed rail transport in China & in establishing the International Railway Research Board. He’s led large scale infrastructure projects and authored “Bridging River Brahmaputra” a construction management publication. Vipin’s entrepreneurial background includes development of maintenance free rail track with Bayer and energy business in India. Vipin was on the Advisory Board of HEC, Paris. Chris has 25+ years of global experience as a designer, catalyst for innovation, strategic consultant, founder, and angel investor in design, engineering, and technology industries. He has been an innovation leader in both private and public sectors and creator of the StrategitoriumTM , an innovation bootcamp. He is Associate Director at the Construction Industry Institute. Chris thoughtfully guided organizations such as Disney, Ikea, Fluor & Ramboll through the journey of innovation utilizing experienced facilitation, research-informed visual and design-thinking methodologies, vision and value prototyping, implementation strategies, and collaborative workshops. Executive Consulting - With our "Before-During-After “ life-long relationship unique to your market place we create a strong action plan orientation that has a focus on the Silicon Valley eco-system. Advisory Services - We offer tailored programs covering: Innovation Services, Antenna Services, Valuation/Merger and Acquisition/Due Diligence, International Governance, Sense Leadership and Design Thinking. Before the LXP, Holistic Innovations prepares with you innovation and mindset readiness assessment that transforms any participant from passive observer to active learner becoming self-aware, confident, trustworthy and resilient. We tailored our LXP's to your schedule offering 5 day, 3 day, 2 day and 1 day packages. A 2 day whirlwind introduction to the latest mega-trends within the Silicon Valley Eco-System. You will revolutionize the current way from an approach combining innovation genome, design thinking, and wicked problem solving™. You will focus on a personal innovation challenge; key elements of collaboration in team development, roles and critical stages as part of identifying new innovation paths. A customized session that takes the "before" and aligns selected organization/individuals from your industry vertical on how to accelerate your innovation. Participants come back from LXP with specific projects and a commitment to play an active part in implementing the projects identified as part of our advisory services. Holistic Innovations, the premier transformational provider in Learning Expeditions, Design Thinking, Innovation & Leadership and Innovation & Communication is pleased to announce an expansion to Silicon Valley, the Washington DC/New York City Corridor and its Leadership Team. Popp further states, “The new leadership team represents a world class talent of CEO and Leadership experience who have lived and worked globally and have managed billions of dollars of programs/revenue. It combines multi-cultural and multi-vertical; each highly connected to Tier #1 global leaders.” The expansion of the Holistic Innovations Leadership team includes: Karsten Popp as Chief Executive Office and Patrick W. Hearn as Chief Operations Officer Further bios of Karsten and Patrick are available at here. Holistic Innovations, a leader in co-Creating and accelerating your innovation strategy is pleased to welcome Savoir-Relier to its Leadership Team. Savoir-Relier, led by Valerie Gauthier and Philippe Gaud, are recognized global leaders in Leading with Sense and have a proven process that build individual and interpersonal trust and facilitates quality relationships. Honed from the combination of decades of findings from Tier #1 Global Companies such as Apple and L'Oreal. Injected with Academic Rigor from the HEC MBA School, and also available by "Leading with Sense" published by Standford University Press, Holistic Innovations clients will learn to grow and achieve projects in the face of adversity to influence the world positively. According to Holistic Innovations CEO Karsten Popp, "Holistic Innovations believes any Innovation Acceleration Strategy must begin with the Right Mindset. Savoir-Relier expands our "Before, During and After" INNOVATION Executive Consulting and Advisory Services and reasserts to Organizations of why trusting Holistic Innovations to Co-Create and Co-Accelerate is the sensible choice for their journey." Savoir-Relier CEO, Valerie Gauthier states, "When we realize that Holistic Innovations was not about simply discovering and meeting with companies with state of the art innovation approach, we understood that for once Innovation was treated seriously: exploring and identifying the company unique innovation potential. This requires to start with the right mindset and this where we believe we can bring something to the table. All starts within, within ourselves and within the organization. This is how the innovation mindset can emerge. The Savoir-Relier methodology that we have developed is designed exactly for that purpose: helping organizations identify from within their unique innovation potential and journey." Holistic Innovations, a leader in co-creating and accelerating your Innovation strategy is pleased to welcome Bill O'Connor to its Leadership Team as an Advisory Board member. Bill was most recently with Autodesk in San Francisco, where he served as the company's Innovation Strategist. In that role he worked with many of Autodesk's largest and most strategically important customers to help them move beyond talking about innovation to actually doing it. In 2011 he founded the Autodesk Innovation Genome project, which studies the 1,000 greatest innovations in human history in order to discover/create innovation techniques that people can use today. To date, Bill a team of 24 researchers from UC/Berkeley and Hult have studied 350 innovations and created a 5-step methodology that has been used by hundreds of organizations around the world. Over the past six years Bill has designed and delivered more than 500 innovation-related presentations and workshops working with Autodesk customers; Fortune 500 corporations such as Starbucks and J&J ; technology leaders such as Facebook, AirBnB, and Google; innovative Silicon Valley startups; and government organizations such as the U.S. Department of Defense and the U.S. Navy. Bill has also formed a partnership with the Nobel Foundation in Stockholm for a collaboration to study how Nobel laureates innovate; to date he and his team of UC/Berkeley researchers have interviewed 11 laureates, and will have interviewed 15 laureates by Spring 2018. He has 25 years of experience managing projects at the intersection of innovation, strategy, technology, and design, living and working in New York, London, Boston, and San Francisco. Today Bill lives just over the Golden Gate Bridge with his wife and their dog Zinzino, a leading global canine innovator. According to Holistic Innovations' CEO, Karsten Popp, "Having Bill working with Holistic Innovations strengthens our commitment to innovation consulting, and gives us an even stronger connection to Silicon Valley. Everything, and especially innovation, starts with the right mindset, and with Bill on board, our clients will be able to adopt a more innovative mindset, and to also get the most out of all the services Holistic Innovations has to offer." Bill will continue to be based in San Francisco. Holistic Innovations, a leader in co-creating and accelerating your innovation strategy is pleased to welcome Ruckus Innovation Consulting to its Leadership Team. Ruckus Innovation Consulting under Chris Tisdel has assisted global companies in generating, prioritizing, and implementing breakthrough ideas to bring tangible business value. Armed with the disruptive attitude of “picking a fight with the status quo,” Chris leads Ruckus on a mission to radically facilitate the bringing of something new or different, into the real world, which offers tangible business value and makes a significant impact to a global clientele. Chris thoughtfully guides individuals and organizations through the journey of innovation utilizing experienced facilitation, research-informed visual and design-thinking methodologies, vision and value prototyping, implementation strategies, and fanatical collaboration workshopping. Ruckus Innovation Consulting has facilitated over 100 workshops with multiple organizations all across the globe, such as IKEA, Disney, Fluor, Ramboll, and many others. According to Holistic Innovations CEO Karsten Popp, "Holistic Innovation is now expanding its presence to Austin, Texas, a TOP innovation hub. We at HI believe that Everything starts with the right mindset, an Innovation Mindset. Ruckus Consulting with their expertise in research-informed visual and design-thinking methodologies, vision and value prototyping, implementation strategies, and collaborative workshops will enrich our "Before, During and After" Innovation Executive Consulting and Advisory Services. Companies worldwide can stay ahead in the world of innovation and disruption by choosing Holistic Innovations as their trusted partner." Holistic Innovations, a global leader in accelerating your innovation strategy, is pleased to welcome Vipin Sharma as Ambassador. Vipin has an impressive international background including having led the development of global rail transport as Deputy Chief Executive of International Union of Railways, a Paris based organization. At IUR he led global rollout of the European Train Control System, an advanced version of an intelligent transport system and prepared the master plan for global rail freight corridors; leading to the initiation of the “One Belt One Road” Initiative. He played a key role in development of high speed rail transport in China establishing the International Railway Research Board for heavy haul freight operation and high-speed passenger operations including MAGLEV technologies. As a construction engineer Vipin led large scale infrastructure projects in India. He is author of “Bridging River Brahmaputra” a reference construction management course in leading technical institutes. As entrepreneur, Vipin worked with Bayer to develop maintenance free track infrastructure technology and set up an Indian Subsidiary for Solar energy business. He served on the Advisory Board of HEC, Paris, is a Fellow of Indian National Academy of Engineers and has an MBA from TRIUM (* London School of Economics, HEC Paris School of Management+ New York University Stern). According to Holistic Innovations CEO Karsten Popp, "We are excited to have Vipin join our organization. His global background combining leadership of some of the most challenging programs in the world, to Tier #1 academics and top international organizations further injects into Holistic Innovations DNA a pedigree giving complete confidence for any organization looking to accelerate its innovation journey." Holistic Innovations (HI), a leading international innovation consultancy and advisory company, will be visiting South Africa from May 21st to 25th 2018. Although Holistic Innovations is headquartered in San Francisco, it has offices in Paris, New York, Austin and representatives in a number of countries, including South Africa. The company was founded in 2013 and the Executive Team brings global innovation thought-leadership to the table, comprising renowned innovation experts and personalities such as Bernard Bourigeaud, Veronique Hillen, Patrick Hearn, Bill O’Connor, Tom Wujec, Philippe Gaud, Valerie Gauthier, and others. The CEO of Holistic Innovations, Karsten Popp, will personally host the inaugural South Africa Innovation Expedition and will be meeting a number of industry leaders from Banking, Insurance, Transport, IT, Telecommunications, etc. in Johannesburg. Mr. Popp passionately describes Holistic Innovations as “a Next Generation Innovation Company with deep roots in sense leadership, design-thinking, Wicked Problem Solving™, Innovation Genome’ and with superb Silicon Valley interconnectivity”. The primary intent of the visit is to agree on the principles for establishing an African/Silicon Valley Hub and explain the unique innovation service offerings going forward. Some of the service offerings include “Before-During-After” innovation approaches which are based on real-life world experiences and are augmented with Silicon Valley Mentorship, Learning Expedition Programmes (LXP) and Innovation Eco-system establishment. Partners and clients of Holistic Innovations include distinguished companies and universities such as The Vault, Francisco Partners, HEC Paris, La Friche, Defacto, Sequoia, Autodesk, WI Harper Group, Expen, Stanford University, Berkeley University, D-School Paris, etc.